Check out Kohl's Printable Store Coupons. 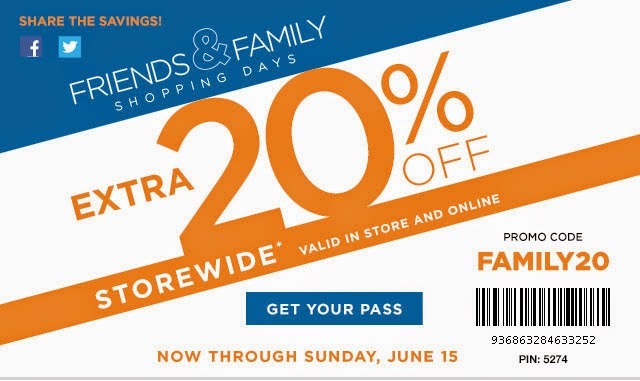 Click here to get this 20% off your purchase coupon. Or you can use Coupon Code FAMILY20 at checkout. Shipping is Free on orders over $75. Both coupons expire 6/15. You can also get $10 off $30 when you purchase Men's apparel and accessories or luggage. If you're shopping online use Coupon Code DADSDAY10 at checkout Exp 6/15.